Residential House Collapsed in Doda. 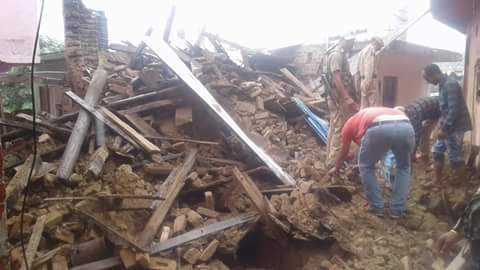 Residential House Collapsed in Doda.BY ABID PAMPORI Doda:: Due to torrential rains in Doda a residential house of Zafferullah Sheikh in Mohalla Ban Doda collapsed today. On getting the information SHO Doda along with police party reached the spot and started rescue operation . However no loss of life has been reparted. Locals alleged that due to carelessness of the concerned auuthorities this incident happened as there is no proper drainage of water and due to which rain water enters the houses and causes damage to the public property. They demand inquiry into the matter and take necessary action so that such incidents may not occur in future . They also urged the distt administration to give directions to municipal deptt. to make proper drainage system in Bun Doda locality. 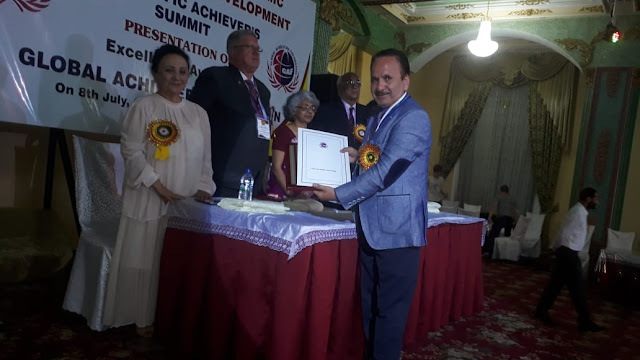 Doda Boy Gazi Bashir Wani Awarded Gold Medal By Kashmir University. 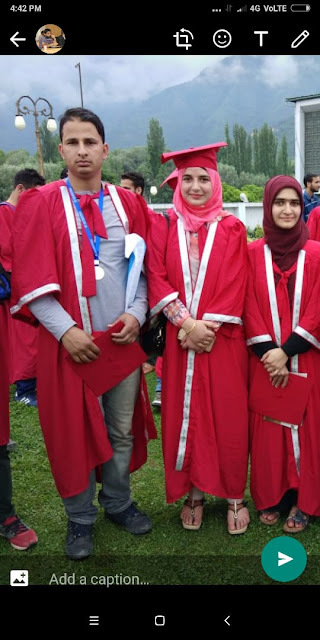 Doda Boy Gazi Bashir Wani Awarded Gold Medal By Kashmir University.BY ABID PAMPORI Doda:: Gazi Bashir Wani S/O Bashir Ahmed Wani ,Shakeela Begum of Ghat village in Doda district has been awarded gold medal at the convocation of Kashmir University today. He was the topper from Central University Kashmir in mathematics and got first position by securing 93 % marks in the year 2015-16. 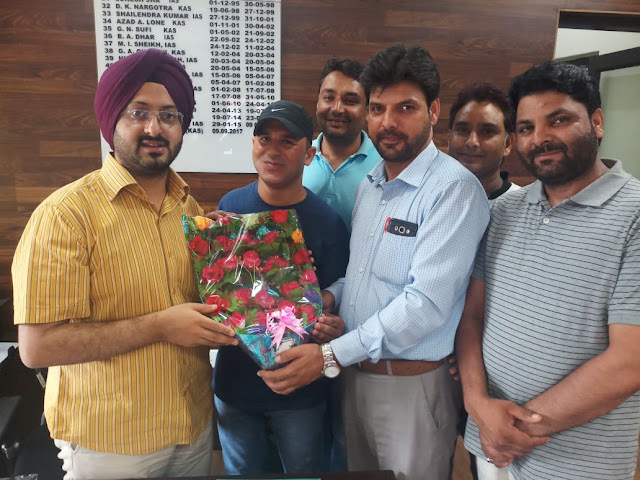 Relatives and friendshave congratulated Mr Gazi and his family on this grand success.Majid Ali waniand Naseera Akthar from Ghat have expressed joy and happiness and conveyed their best wishes and congratulations to him.